Ardour Brand are fast becoming a regular over on our Instagram as their product list expands, supplying us with reworks of Ivy League and workwear classics. This is no exception with their latest release, the Melton Wool version of the CurveAll. A jacket based on the 1950’s workwear coverall jacket, Ardour have added their own twist, available now in red and green. With the basic design the same, the CurveAll incorporates curved pockets and collars, as opposed to the classic square finish. Wooden buttons finish off the jacket, giving it a rustic look. 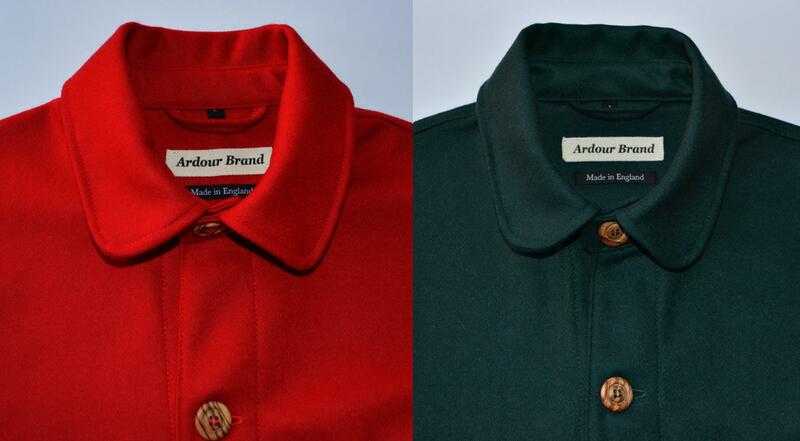 With both colours available now, head over to the Ardour Brand website before they go.